I tried to think logically. Calmly. But my mind wasn’t co-operating. Because at that precise moment, nothing in my life was logical. 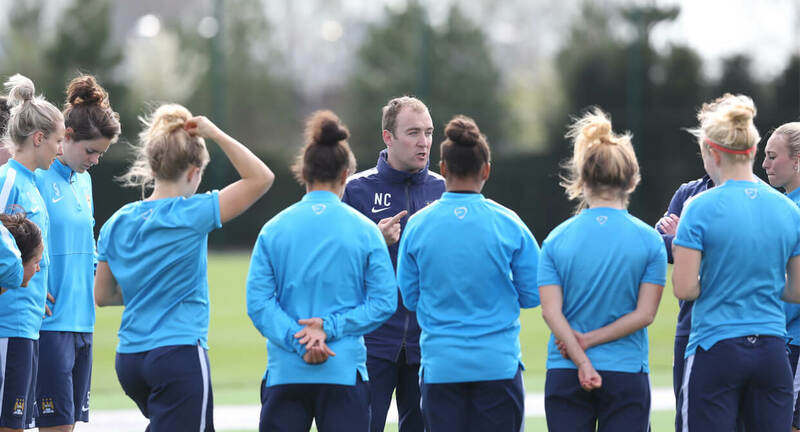 I was standing in the dugout watching my team – Manchester City Women – take on Liverpool Ladies in the FA Women’s Super League. 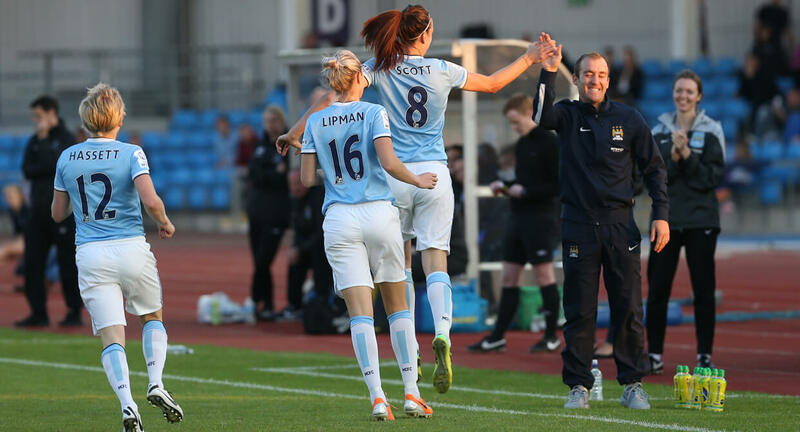 It was the team’s first game in the WSL. And the first time I had ever managed a side at that level of competition. I didn’t feel prepared for it. And I wasn’t prepared for what came with it, either. I’d coached a lot of 11-a-side academy games at City, so I was comfortable with the systems. I’d done my homework on Liverpool, too. But, as soon as I walked into Halton Stadium and saw the cameras, I realised that this was different. The game was being shown live on television. But before it even kicked off, I was looking straight down the lens of a camera for my first pre-match interview. Illogical. Uncomfortable. If I’m totally honest, the majority of the day was a pretty unpleasant experience. But without that day, I wouldn’t be the coach I am now. I know that. Because it’s those moments – those uncomfortable moments – that help to build you as a coach. It’s the same as being a player. You need those experiences that push you outside of your comfort zone. The ones that force you to dig really deep to bring the absolute best out of yourself. They’re the ones that put you on the path to success. It was around five months earlier that I had said goodbye to my comfort zone for the foreseeable future. That was my first day as the head coach of Manchester City and, as I stood in front of the players, I knew I had to be completely honest with them. Yes, this was my first job in women’s football. No, I didn’t have any knowledge of the women’s game. So yes, I was very much learning on the job. I was ready for it, though. 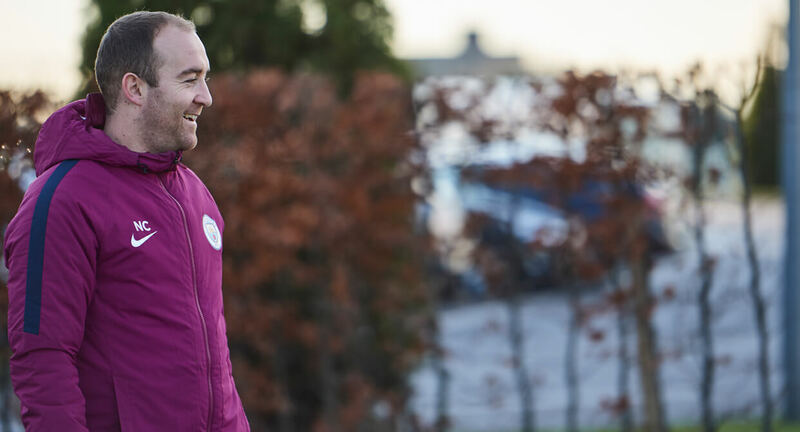 I was a teenager when I realised there was only one profession for me, and started to learn my trade as a coach. Football had been my passion since I was three – the age at which my dad bought me my first Everton season ticket. We went everywhere, home and away, and experienced everything – relegation battles, mostly. I loved playing, too. I can’t say I was very good, but it was all I ever wanted to do. By the time I was studying for a sports science degree at university, I was certain of two things. One: I was never going to be a professional footballer. And two: I was no academic. Coaching offered me something different. Something that really excited me: the chance to pass on my love of football. I started as a volunteer. Every Saturday morning I spent three hours coaching the four to six-year-olds at my local club, Vauxhall Motors. Soon, I added a weeknight session with the 12-14s. I loved it. I couldn’t get enough of watching kids running through the gate, excited about playing. The head coach there must have seen something in me because he used his contacts to get me in the front door at Manchester City. It was January 7th 2007 when I first drove up to the club’s Platt Lane training ground to take my first session as a volunteer coach. After that, I spent every Sunday there, coaching the younger age groups. In return, I pocketed hours of valuable coaching experience. After six months, I started taking evening sessions during the week, too. This time, I made a bit of pocket money. It wasn’t much, but to me it was a valuable sign that I was making progress. One rung of the ladder at a time. By the age of 20 I knew I wanted to work at the elite end of football. 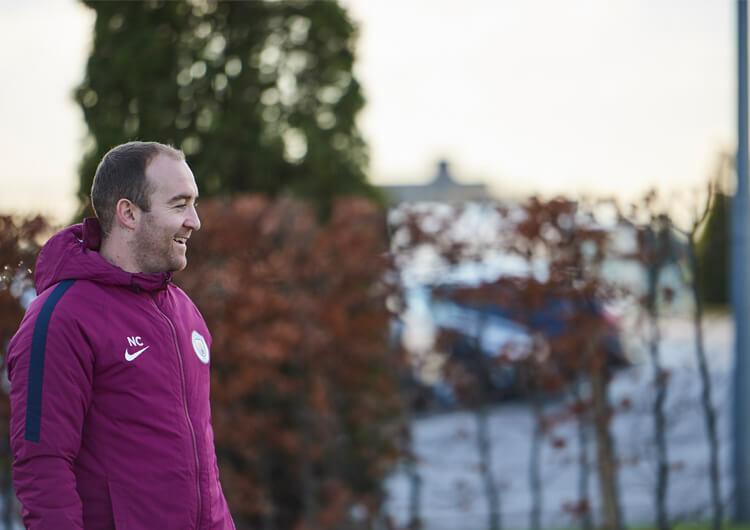 I had worked my way into a role with the younger age groups in City’s academy, and I loved it. But there was something missing. With time, I understood what that something was. I believe there are two mindsets you can have as a coach: you either have a real passion for developing younger players, or you have a real passion and desire to win. Of course, you can have a little bit of both, but at 20 I was focused on one thing. Winning. And creating a winning team as a head coach. 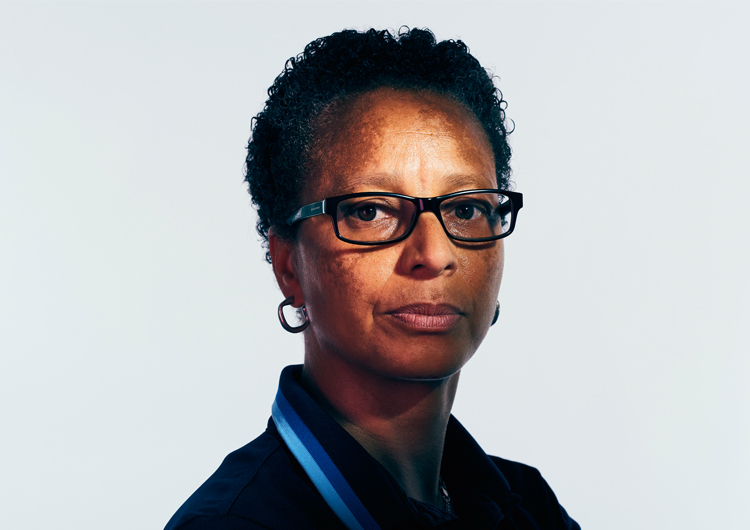 Almost seven years after my first day at Platt Lane, I was offered that special opportunity: the chance to be head coach of the Manchester City Women’s team. By then, I was working with the 12s and 13s in the academy, but I was also going out with the Under-23s, watching the assistant coaches and asking them questions. I’d get hold of their training sessions and spend my evenings annotating and analysing them. The women’s team meant professional football. It meant playing in a league where you are judged on your ability to win. It also meant meeting the high expectations that come with being part of this club. Those things really got me going. Before the women’s team was officially brought into City’s professional organisation, things were very different. They trained separately from the academy, which meant I was relatively unaware of the women’s team until 2012. That’s not something I hid from. As I said, my priority was to be completely honest with the players about my starting point. But, more importantly, I wanted to make it clear that they would be treated the same way as every Manchester City side. As a football team. Not any different because they were women. That gave us a head start. It meant that the team would follow the methodology shared across the entire club. 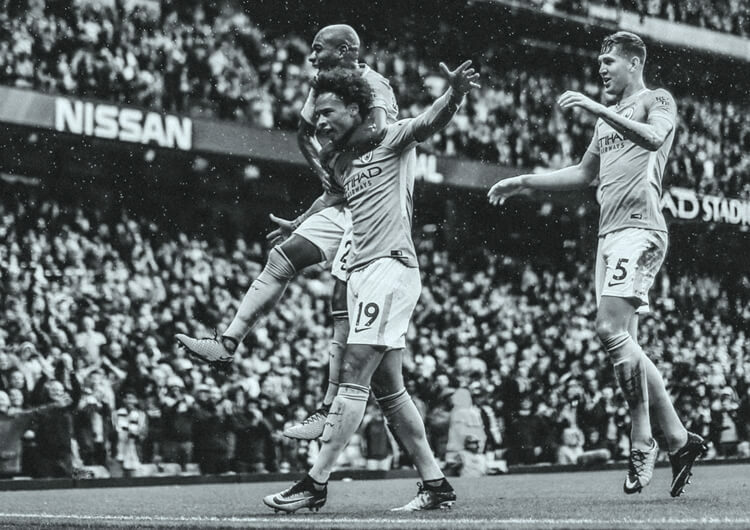 A methodology I’d spent the last seven and a half years being educated on – including how the club believe the game should be played and the profiles of the players that fit into that. In that sense, it was an easy transition. The foundation of what we wanted to do was already built. We were realistic, though. We understood that you can’t be successful overnight. That we were going to make some mistakes along the way. That it was going to take time to build. Even so, after the first four games of the season all ended in defeat, I started to question myself. Am I really at this level? Is this the right job for me? Am I the person to take this team on? I’m a realist. I know I won’t have been the only person asking those questions. It’s natural. We were a good team, with England internationals, and we’d lost four games against teams people thought we should beat. But at no point did anybody at the club take any responsibility away from me. At no point did my role change. I was supported, and given all the experience and resources to become better. But I was also left to succeed or fail. We ended up finishing fifth in our first WSL season. We won our first major trophy too, beating Arsenal – a team that had dominated women’s football for the previous 15 years – to win the Continental Cup. It gave us massive belief as a group, gave me massive belief as a coach, and it gave the whole club belief that we had something different to everybody else. We weren’t the best team that year. But we had something else. It was like somebody was telling us, you have the opportunity to be successful here, so don’t mess it up. That season, I experienced something new in every game. A sending-off, two key injuries at the same time, or a suspension to an important player. I was learning all the time. And relying a lot on my enthusiasm and my style of coaching to inspire the players. These days, things are different. I’m different. I’m more detailed in my approach. My knowledge base and my understanding of how this team needs to evolve and adapt over time have developed. But in other ways, I’m the same. I’m still obsessed with winning. With improving players. Pushing them to the point where they have to decide: do they really want to achieve what they say they want to achieve? It’s easy to say you want to become the world’s best player, the world’s best coach and the world’s best team. But it’s those moments in between when you really have to dig deep and ask yourself if you’re prepared to be dedicated and committed enough to get there? I know for sure that I will commit my life to becoming the best coach I can be. After all, how can I make the players better if I’m not better every day than I was yesterday? That’s why you’ll never find me in a comfort zone for long. Because the only place I can become better is way outside of it. Where it feels uncomfortable. That’s where the path to success always begins.